"The PC version of GTA IV has not even been announced for release and is still in development so is not about to be released on a website." Basically, these two guys concoct a detailed tech support problem with a free demo of Grand Theft Auto IV, and see if Take 2 will bite. Of course, they do, but only to a point. After getting that little nugget above - which they're convinced was copypasted from some higher-up's response to befuddled tech support - they get another tech who is less fun and a little more circumspect about their claims. While the last message does say, "We are unsure when the PC version of the game will be released," that does not mean, "We are sure it will be coming out, just not when." I am likewise unsure of when I'll win the Publisher's Clearing House Sweepstakes. 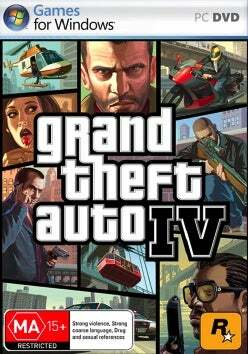 ComputerandVideoGames.net reported rumors back in April that a PC GTA IV was due out in October, citing European retailers. That didn't bring a denial from Rockstar UK, just "no comment." So unless and until Rockstar wants to lay the rumor smash, this remains rumor only. I wouldn't get my hopes up, but you never know.